Order in the next 11 hours 18 minutes for delivery on Monday, May 6. For engraving, order in the next 10 hours 19 minutes for delivery on Monday, May 6. Order in the next 11 hours 18 minutes for delivery on Tuesday, April 23. For engraving, order in the next 10 hours 19 minutes for delivery on Tuesday, April 23. 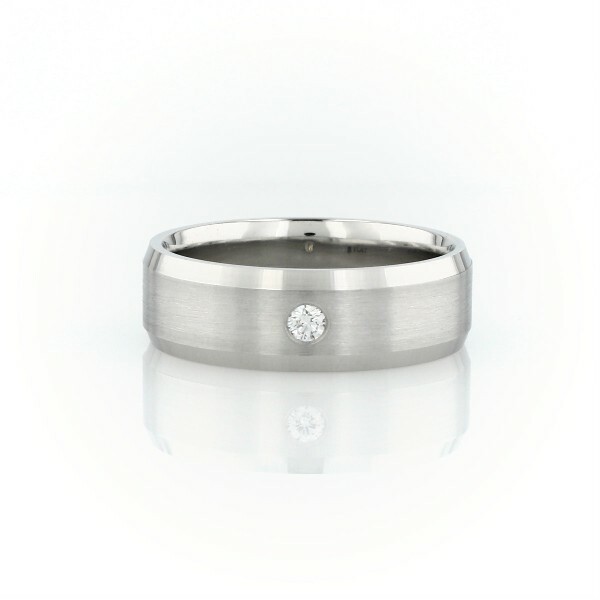 Modern in design, this subtle wedding band encompasses a single diamond, burnished-set in the center of the ring.